It’s one of the brightest “anti-utopia” films in the history of cinema. Modesty of decorations with the interest is completed by the imagination of director and by the bright game of actors. The Eccentrics occurs in the complex and multidimensional peace, which lives according to its, sufficiently simple and intelligible laws. ideas are kept in isolation, treated as criminals or mentally ill, as a danger for others. Wonderful cinematography and the soft, delicate humor of the film remains as an unforgettable journey. I think it’s the first sci-fi (sort of fantasy too) themed movie of Georgia and it remains the best one. A unique experience of direct adaptation of the poetic text in cinema: The film has superior technical narrative. It is impressive, thought provoking and visually striking in experience. The plea is essentially intellectual, yet emotionally stimulating too, it is as tough and rewarding a screen challenge as the moviegoer has had to face. It has creepy, horror like imagery and one of the finest uses of camera in a history of Georgian cinema. 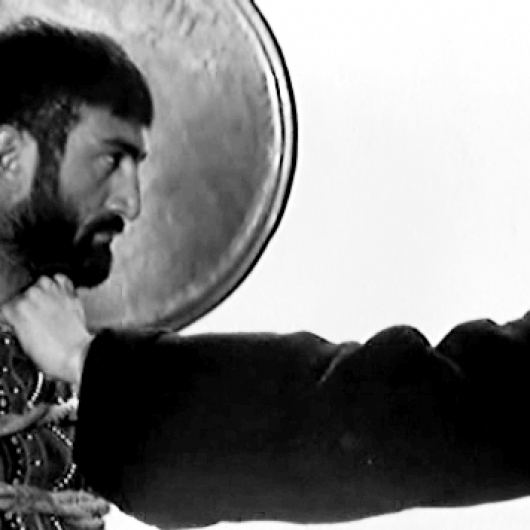 Tengiz Abuladze is one of the (if not the) greatest Georgian movie director and The Plea is his finest work. If it had a wide release and large amount of people saw it, The Plea would be as iconic as Ingmar Bergman’s The Seventh Seal. This is art with a capital A. This is an excellent film of lasting relevance. It is technically brilliant and shines with great dialogue. Its storytelling is superior and even though it is shot for television, the movie stands exactly like a theatrical release. Furthermore The leadGia Feradze gives a terrific and equally courageous performance as the self-destructive alcoholic with a romantic kind of childish nature. This is a shatteringly realistic and morbidly fascinating film. 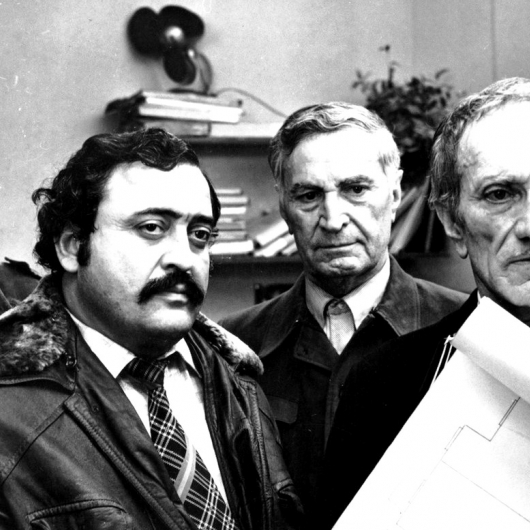 It’s one of the finest examples of a Georgian TV movie. America had Charlie Chaplin, Russia had Iuri Nikulin, Georgia had Ipolite Khvichia. Our greatest comedian and his funniest and heartfelt movie about misconception and humorous misunderstanding. About love that has no social scale and that has no boundaries. The movie shows that real love can’t be stopped even if family is against it. Those important commentaries are packaged with hilarious scenes, dialogues and great performances. 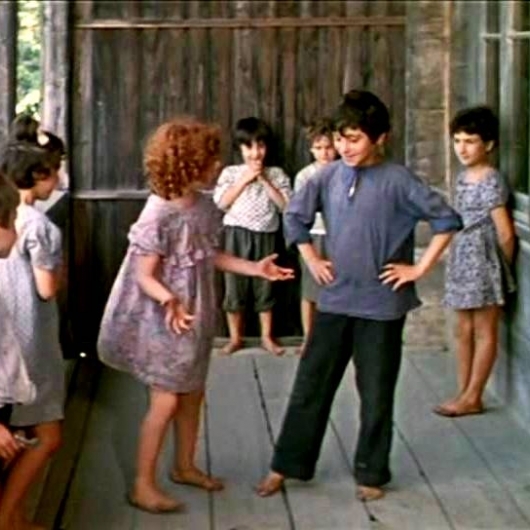 And it features one of the yummiest scenes in movie history and shows delicious Georgian cuisine in a delicate and beautiful process of cooking. A masterpiece by Rezo Chkheidze. 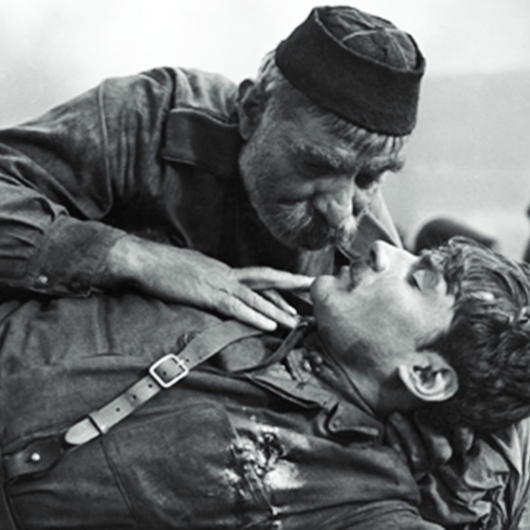 Father of a Soldier is a very special movie because, after years and years, it remains fresh, touching and impressive. A father is in search of his son, on a long way in a cruel war. The movie is filled with the expressions of deep humanity. It is a brilliant demonstration of great acting and a smart script. It is the work of an extraordinary director. In same measure, it is a showcase of a special Eastern ability to discover and transform reality because the subject is the love: for a son, motherland, grapes, values, faith and the large circles of hope. 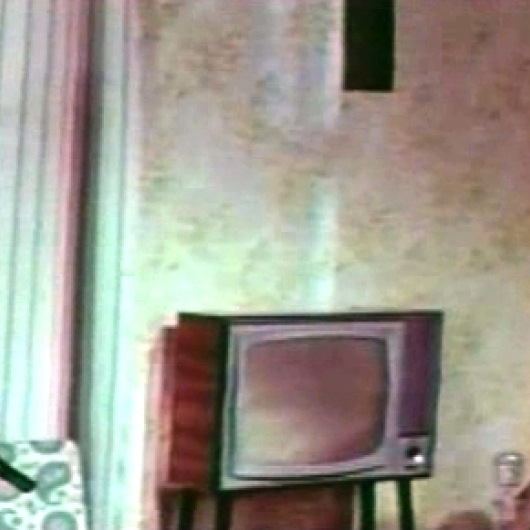 Sure, it is not unique, many Soviet films present the war in different manners. But it is special because its team has the courage to explore the heart of war in a form, which escapes ideological rules. Definitely, Blue Mountains remains a masterpiece of the most absurd humor possibly. Imaginative and fresh, fast paced and precise - in a full contrast with the bureaucratic world it is depicting: dumb and stale, sluggish and chaotic. Absurd humor, memorable characters and a fight with shadows abound. 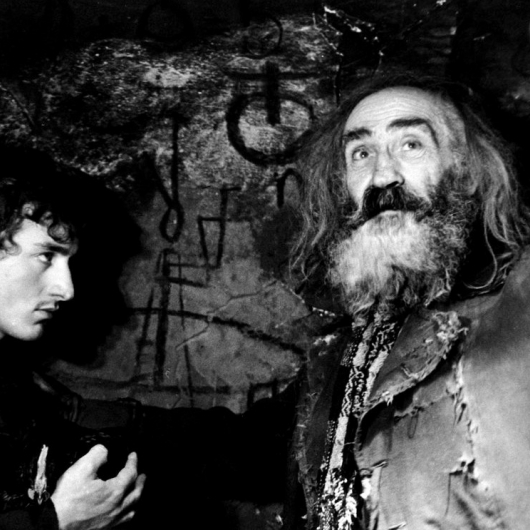 It is a film about a society with dead soul, a gallery of masks and hypocrisy, prisoners of the waste of time and victims in need to be only insignificant shadows of existence. Finally, in a new millennium Georgian cinema saw a movie that is artsy and has a compelling story rather than just another depressive movie about the horrors of drug dependency and street style. Three houses creates great atmospheric medium and tells a story in three different eras of Georgian modern history. It’s dramatic and entertaining at the same time, which makes it more enjoyable and valuable. 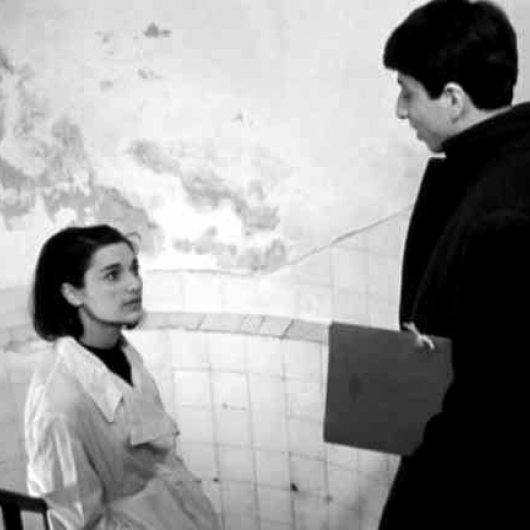 It’s director Otar Iosseliani’s first feature-length film: A film about communism, love, moral rectitude, and in a measure, about faith; A common fact in a wine factory and a decision that reveals the innocence of a young man. It features very fragile love story. Concentric circles by a great director who creates not only a realistic portrait of society, ironic pictures of a system but also uses the most delicate tools for building the atmosphere, the tension between characters, the essence of the main character Nico’s gestures. It is a beautiful movie for its splendid grace, a grace that is just part of an admirable force. The monastery image as a reminder of real certitude, the falling of leaves and beginning of maturity, the amusing scenes and the wise manner to give to each scene its nimbus. That is all. Long descendant of Blue Mountains, my grandmother is a Georgian avant-garde slapstick silent comedy that was banned in the Soviet Union for almost 50 years. And it’s pretty easy to see why. Whereas later Georgian filmmakers became rather adept at slipping political criticism under the noses of the Soviet censors, this film ends with a completely unambiguous rallying call for the death of bureaucrats. Lots of the creative techniques one associates with early Soviet cinema are on display here, but they are filtered through a sieve of early American slapstick and used mostly (and most successfully) for comedy. 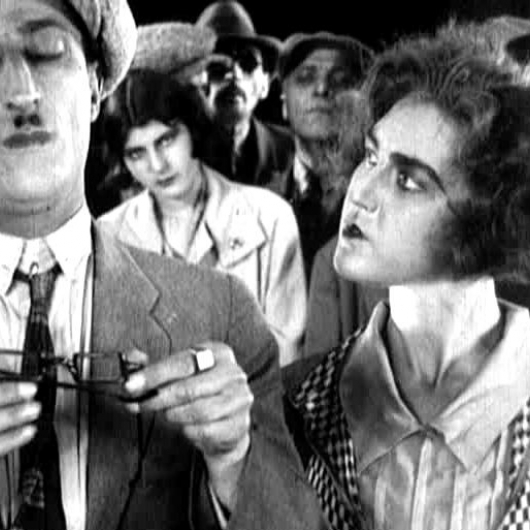 Imagine Harold Lloyd starring in Terry Gilliam’s BRAZIL and you’ll start to get an idea of what My Grandmother is like. It’s hilarious, and historically, it’s interesting to watch in that it’s just as politically obvious as any other early-Soviet film, but in an entirely different way. 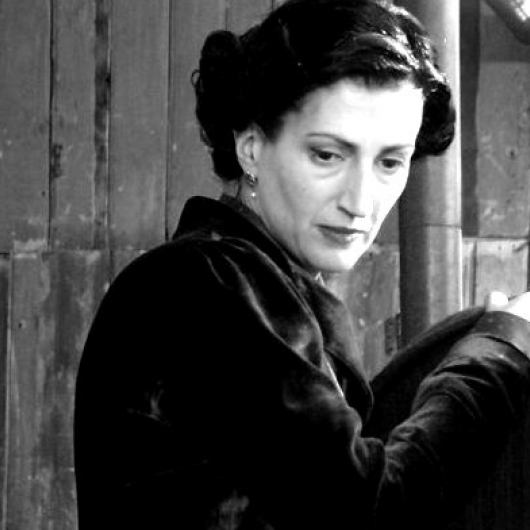 Female director Nana Mchedlidze wrote the story and directed the movie herself. It’s about life in a small community – a grandmother and the passing of time – small facts, games of nephews, memories of a young girl and the silence of a world behind fears or great expectations. This Soviet film about a deep and ancient Georgia is delicate, warm, relaxing and nostalgic. At the same time, questions source about the time and its rules, about the sweet colors of childhood, about the lost figures, about expectations and feelings and about the land of birth. It asks many basic questions and gives few answers – a film about the values of small spaces and the passing of time. Overall it’s a funny and relaxing family movie that will create the feeling that you have traveled to Imereti and spent there a fine weekend.